T-SPORTS specializes in Baseball and Softball camps. College and High School athletes from the Bay Area direct each camp. A day at camp is filled with education and excitement. What separates T-Sports from other programs is the belief that baseball and softball should always be fun. This is not an age specific belief; this is for every age and every player. Our instructors understand that when players are not having fun they are not as willing to learn. Therefore the first priority every day is to have fun, which is then correlated to learning about the game. Worried your player is already passed the 7 building blocks? Don't worry, players are separated first by skill then by age. That way if your 5 year old is ready for spring training with the Giants, we wont hold him or her back. The Why: 1 on 1 coaching is an incredible way to build player confidence and a great way to learn at a quick pace. What is covered by a coach over an entire season could be achieved in a 1 to 1 environment within a few sessions. 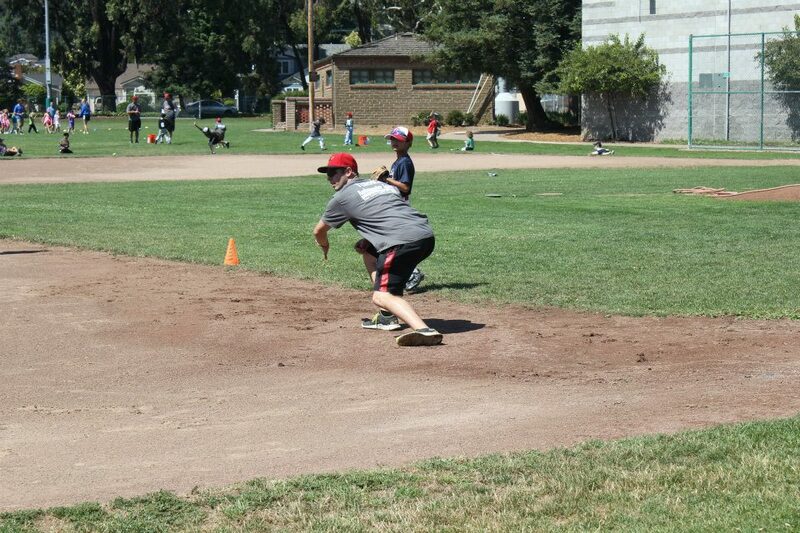 The Specifics: 1 on 1 sessions typically combine both field work and batting cage work. This can also depend on what we need to work on the most. Tea work & video analysis will be a focus in every hitting session, along with unique drills fit to each player. Please let us know what the focus for your lessons should be and we will custom tailor the format. T-SPORTS Coaches have been coaching and playing Baseball and Softball for over 20 years and are extremely passionate about player development. Enthusiasm will play a key role in player attentiveness and learning throughout each lesson. The Where: Lessons are typically held at the Burton Park batting cages in the morning starting at 9:30 AM. Lessons can also be done at different fields that are more convenient to you or if you have a batting cage of your own. Lesson pricing is negotiable simply because we do not want money to get in the way of a player and their off season development. Don't take our word for it, this is what Parents are saying.